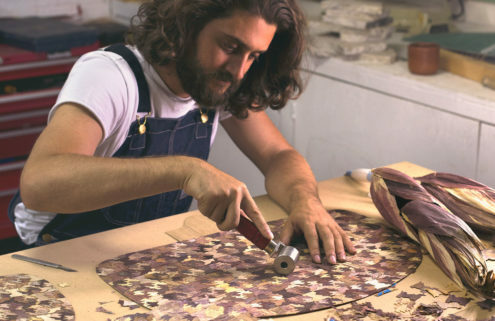 As another London Design Festival rolls around, designers from across disciplines are getting ready to take over the capital this month. As always, the landmark event is a mix of the weird and wonderful, and this year features everything from a revived historic hotel to a sci-fi airship, as well as the second edition of the London Design Biennale – already under way. Here’s our list of the top ten essential installations, exhibitions and events to see at London Design Festival 2018. Things are taking a science fiction turn at the Design Museum, where an airship powered by people’s thoughts has landed in the lobby. Visitors hooked up to headsets and sensors will be able to move the helium-filled balloon across the museum’s atrium without ever leaving the ground. 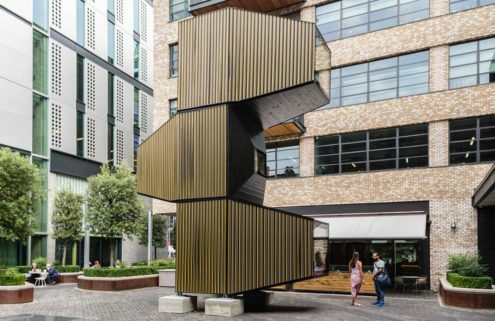 London’s South Bank has a new resident this year, in the form of a house-sized wooden head designed by Steuart Padwick. It’s worth the walk just to see a 9-metre-high face looking out across the Thames, but there’s another dimension to this piece as well. Padwick intends the London Design Festival 2018 installation to become a beacon for those with mental health issues, helping to raise awareness and combat stigma. 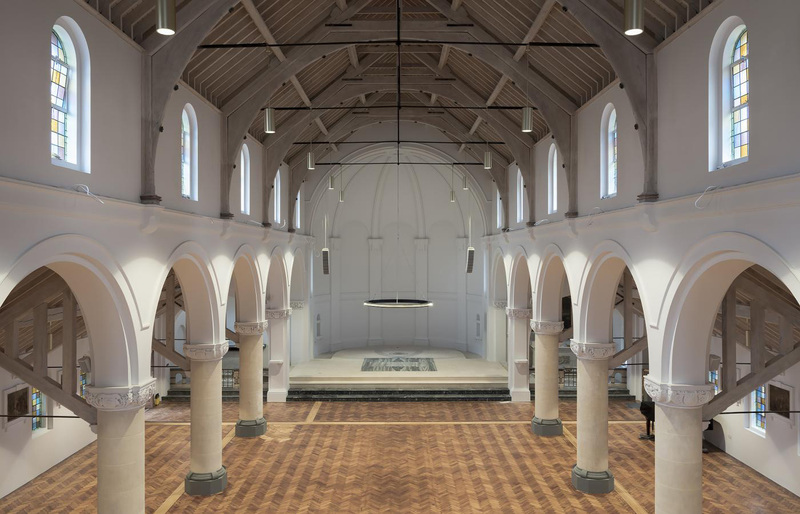 At the start of this year, architect Roz Barr unveiled her refurbishment of St Augustine’s Church in Hammersmith, having stripped back layers of paint and decoration to create a more minimal take on sacred space. 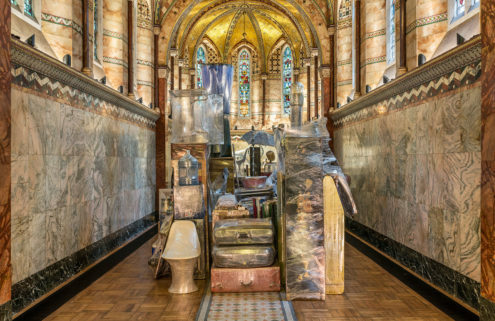 The church is opening its doors throughout London Design Festival 2018, and also hosting a talk in the chapel with Barr, who’ll be discussing the process of reinvigorating the 100-year-old space. Book tickets. 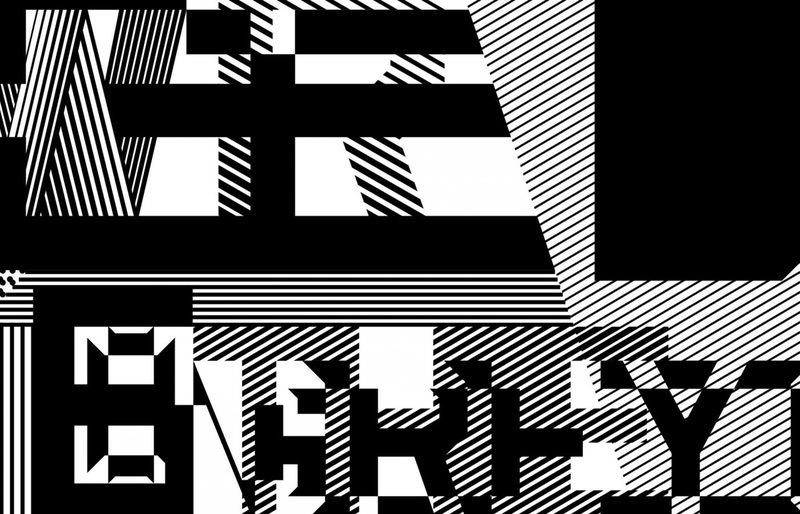 Visitors to the V&A can immerse themselves in experimental pattern at Pentagram’s Dazzle installation. Based on the graphic camouflage used to disguise ships during the First World War – which also inspired Tauba Auerbach’s fireboat artwork across the pond recently – the design studio have created their own pattern of abstract letters taken from Wilfrid Wilson Gibson’s poem Suspense. 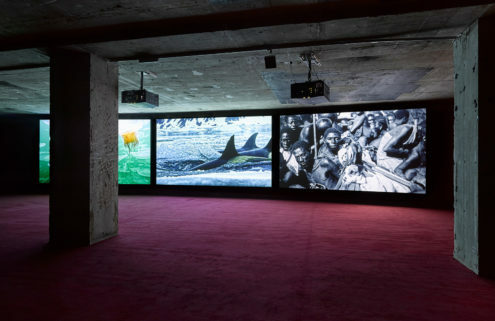 The Hotel Praha may have been demolished in 2014, but its spirit has been revived for this exhibition. 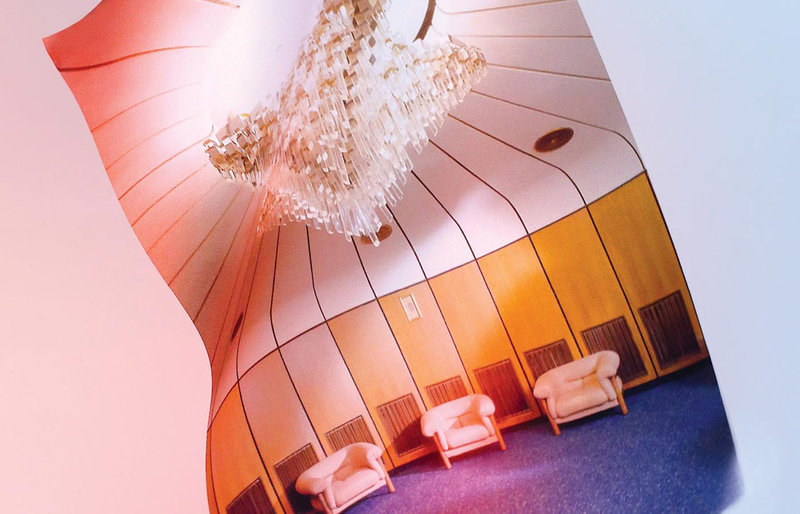 As well as tracing the history of the vast curved building – which was originally commissioned by the Communist Party of Czechoslovakia – the London Design Festival 2018 show features pieces that have been rescued from the wrecking ball, and placed into rooms that replicate the original lavish interiors. London Design Festival wouldn’t be complete without a peek at what the future could hold for our living spaces. 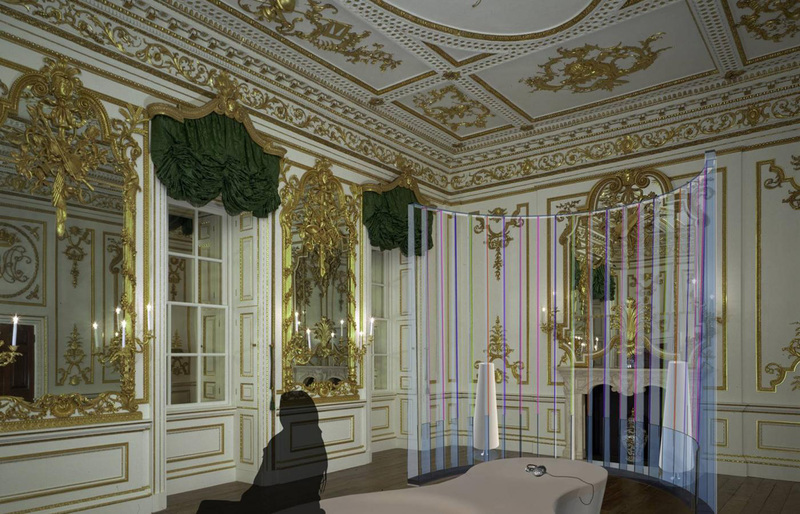 This year, the Royal College of Art has envisioned what that might be with a one-bedroom maisonette installation exploring how our shared eating and working environments may evolve. Taking over the V&A’s Norfolk House Music Room, this installation pairs Arvo Pärt’s music with a super-minimal installation of light and colour. The piece is inspired by the crystalline quality of the composer’s music, and offers up a stark contrast with the gilded mouldings and decorative panels of the surrounding lavish interiors. Rio’s beaches might feel far away from London, but London Design Festival 2018 visitors can get a taste of them at this exhibition of photographs and architectural drawings. 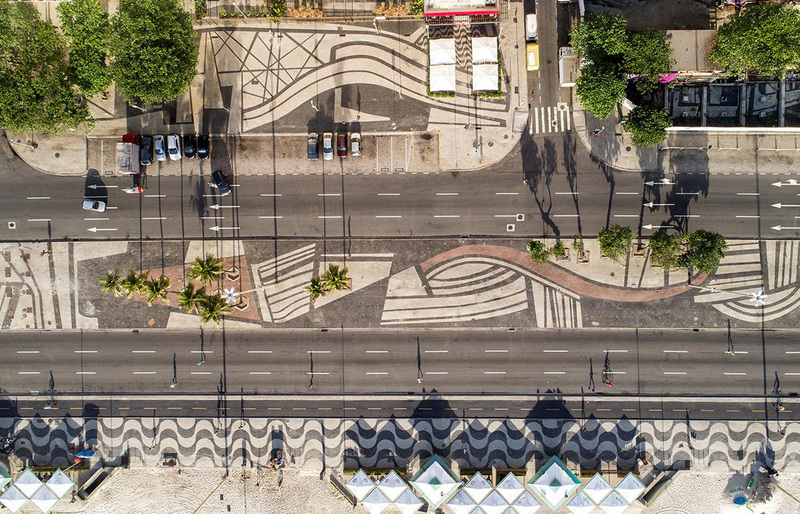 It delves into the work of Brazilian landscape architect Roberto Burle Marx, who shaped the patterned pavements of the Copacabana waterfront. As well as rarely seen sketches, there’s a lifesize take on the Copacabana sidewalk, courtesy of The Plant Magazine. If the London Design Festival crowds are becoming too much, this patch of greenery by the side of the canal is a chance to rediscover some nature. 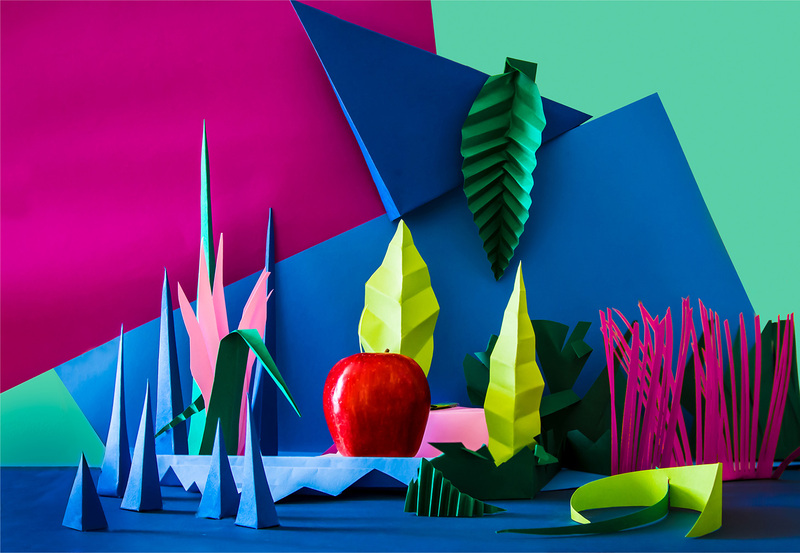 Studio Appétit founder Ido Garini has designed the space as a giant pop-up book, which can be ‘flipped’ to change the atmosphere. 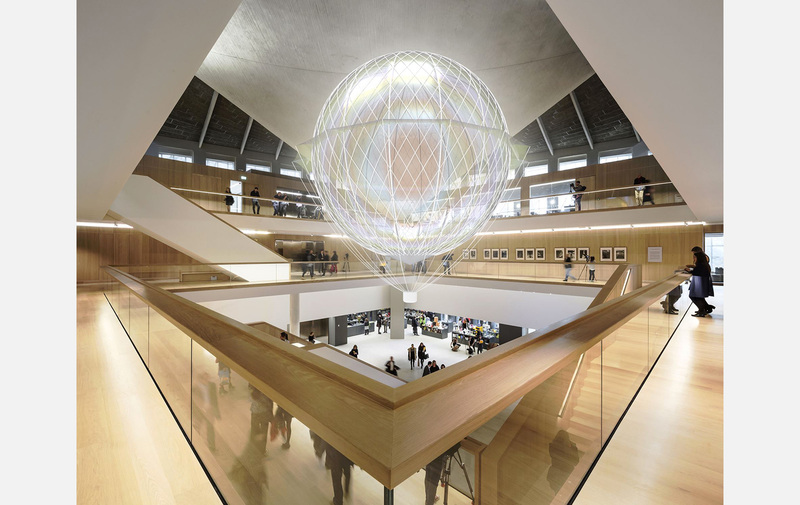 Literature enthusiasts and library-lovers will enjoy Snøhetta’s contribution to the London Design Festival 2018. 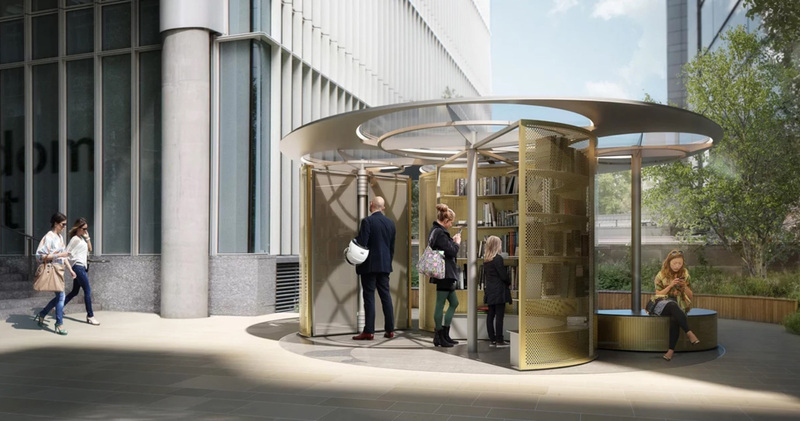 Visitors can browse shelves of oversized books within a rotating pavilion, which adapts to create spaces that suit those in search of peace and quiet, as well as the more extrovert among us.